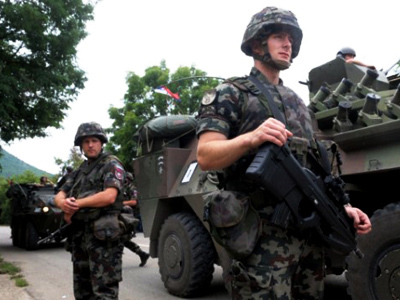 A stand-off between KFOR forces and ethnic Serbs is underway on the Kosovo–Serbia border after Pristina took full control over the only two border crossings that link an ethnic Serb enclave in northern Kosovo with Serbia proper. The locals are mostly ethnic Serbs, and they have been trying to prevent the takeover by blocking roads to the checkpoints and staging protests. 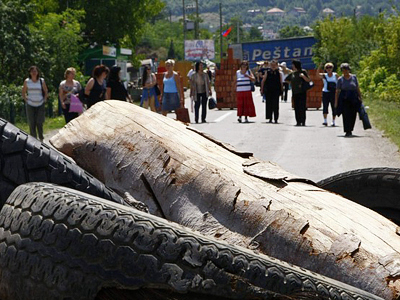 The unrest started when the authorities in Kosovo announced they were introducing customs controls on the border with Serbia. For Kosovan Serbs, the move has increased their isolation in a region dominated by Muslim Albanians. 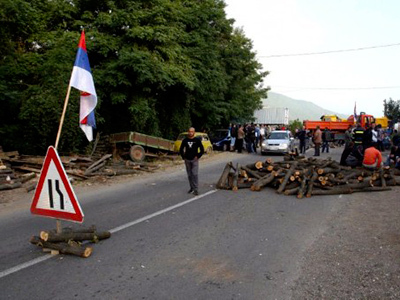 RT's Sara Firth has been to the disputed Jarinje border crossing and reports that all roads leading there are still blocked by protesting ethnic Serbs. The border crossing facility is currently under KFOR control. It has been ringed with barbed wire and helicopters are coming and going, bringing international forces to the border checkpoint. The Albanian Kosovan police, who currently only have observer status here, are deploying just two officers at each disputed checkpoint. 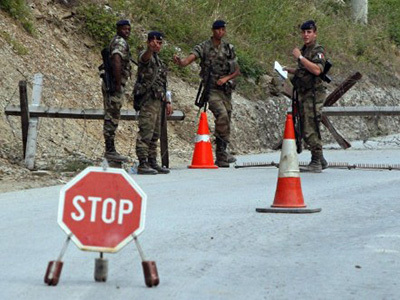 It appears that a transfer of authority from KFOR to Kosovo’s ethnic Albanians is planned for the border crossings. A first attempt by the Kosovan government to take control of the crossings came back in July. However, the move sparked clashes that resulted in the death of a policeman. Since then, it has been relatively quiet. A huge number of Serbs have gathered at the barricades around the checkpoint in what looks increasingly like a stand-off, with the Serbs saying they are ready to stay to the bitter end. Ethnic Serbs fear that once Pristina controls the border crossings with Serbia, their days in northern Kosovo will be numbered. 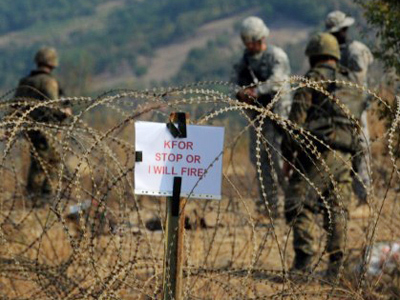 The stand-off has already been called the “War of North,” but neither KFOR personnel at the border crossings nor the Serb protestors at the barricades are making any moves to either break through the barricades or re-capture the checkpoints for fear of being accused of provoking violence. The UN Security Council has called an emergency meeting at the request of Serbia and Russia, but no final decision has been made on how to resolve the situation, with member countries apparently reluctant to make any concrete statements. 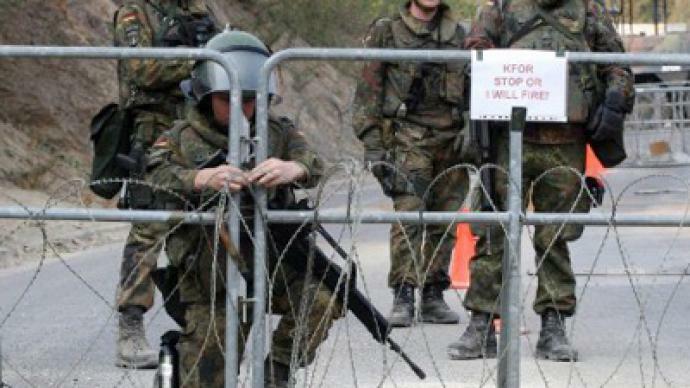 KFOR is pushing ahead with its takeover of the border crossings despite warnings from Moscow and Belgrade that the move carries a real risk of a serious escalation of the conflict. Borislav Stefanovic, Serbia's top negotiator in the EU-mediated talks on Kosovo, is now calling on both sides to resume discussions. He stated that what Pristina did was a one-sided attempt to change the reality on the ground, which is against all the international agreements that have been reached, including UN Security Council Resolution 1244 and Secretary General Ban Ki-moon’s six-point plan. 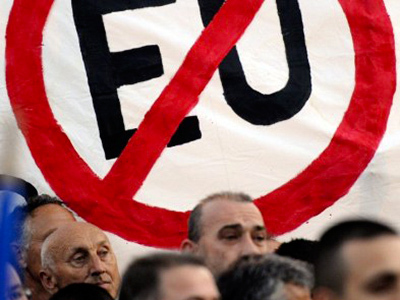 Stefanovic warned that the move may further undermine the positions of ethnic Serbs in the area. “Once you put custom officers, then you will put a flag, then you will put a coat of arms, then you will put so-called Kosovo laws, and then people who live here will be circled by something that looks like the state of Kosovo state,” he said.